*Identification: Form– Stems woody, prostrate, 1.5-2.5 dm long Leaves– linear; blades 7-15 cm long by 0.4-0.7 cm wide; margins entire to minute callose-denticulate, flat or revolute; sessile or subsessile. Flower– hypanthium obconical; calyx lobes subulate to linear, 1-2.5 mm long; corolla magenta, curved, 15-18 mm long. My notes: Lobelia monostachya has a pretty cool story. Aside from the type specimen found in the early 1800’s, the only other records of this species were in the 1920’s in Manoa valley. It was thought to be extinct until it was rediscovered in 1994. To be shown this population of L. monostachya by the gentleman who rediscovered the species, well that is just icing on the cake. 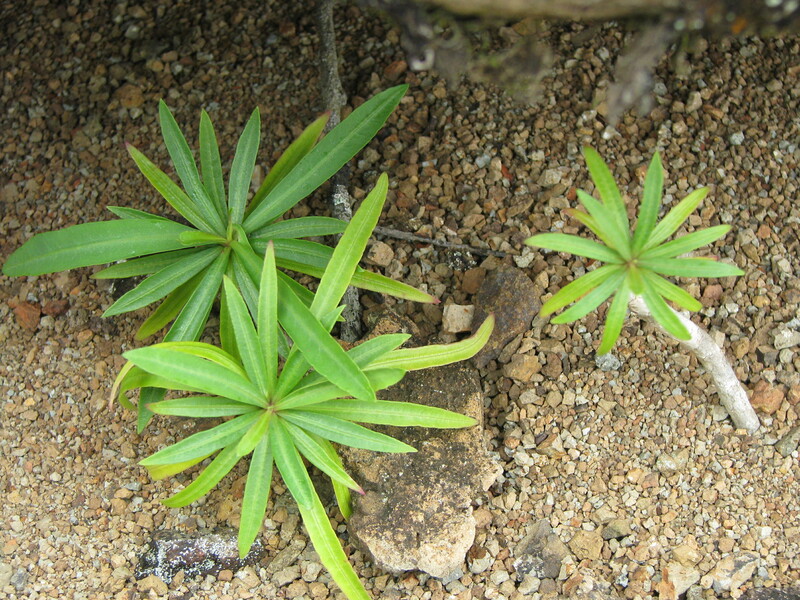 This entry was posted in Botany and tagged Hawaiian Lobeliads, Lobelia. Bookmark the permalink.